The women were Meena Diwakar, the president of the women's wing and two other activists. They took a video of the aarti and uploaded it on social media. The Archeological Survey of India and the Central Industrial Security Force are analyzing the video. Three members of the women's wing of the Rashtriya Bajrang Dal (RBD) reportedly performed an aarti on the premises of Taj Mahal. Meena Diwakar, the president of the women's wing and two activists were seen performing aarti in the video. According to a Hindustan Times report, the Archeological Survey of India and the Central Industrial Security Force are analyzing the video. "We have come to know about the video of 'aarti'. The details are being verified," Ankit Namdev, the ASI conservation assistant at Taj Mahal, told HT. "The matter is yet to come to me and in case there was such an incident, it would be probed," Brij Bhushan, CISF commandant said. Both, the ASI and CISF have not commented directly on the incident. "We entered the Taj Mahal with 'dhoop batti' (incense sticks), Gangajal and match box and performed 'aarti' at the mosque on the premises. We 'purified' the location as it is our 'Shiv Temple', sanctity of which was damaged by 'namaz'," Diwakar told Hindustan Times. 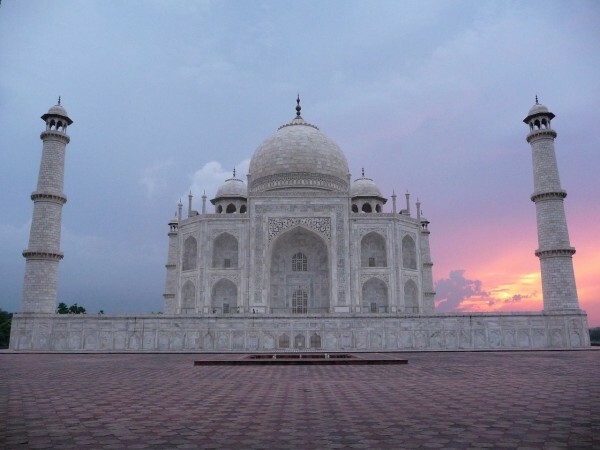 She added, "The identity of the Taj Mahal is because of Tejo Mahalaya, the Shiva Temple. Permission was granted for offering namaz once on Friday but it has been offered on other days too. So we also offered 'aarti'. We are prepared to face action if those violating the norms by offering 'namaz' on weekdays are punished." Reports claim that security check and frisking has increased and even articles like matchboxes are confiscated. This move by the women comes after a section of Muslims performed namaz at the iconic monument in Agra on November 13, Tuesday. In July, the Supreme Court passed a judgment that locals can perform prayers inside the monument only on Friday afternoons. The head of Taj Mahal Intazamia Committee, Ibrahim Zaidi opposed the judgment saying that the Juma Namaz can only be performed if the namaz are done five times a day in a mosque.